The Vancouver Metro Soccer League’s Imperial Cup boasts a long and proud history. 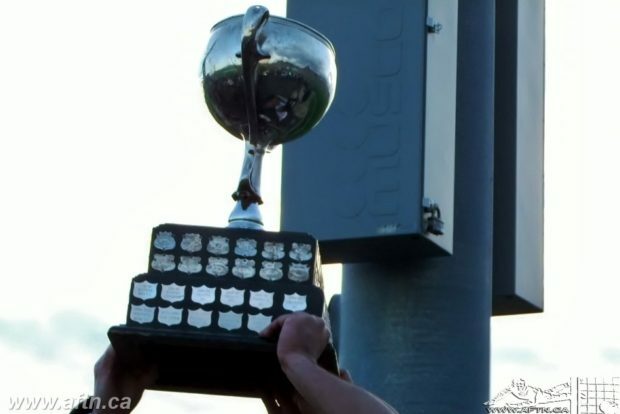 Dating back to 1913, it’s one of the oldest trophies still contested in Canadian soccer. 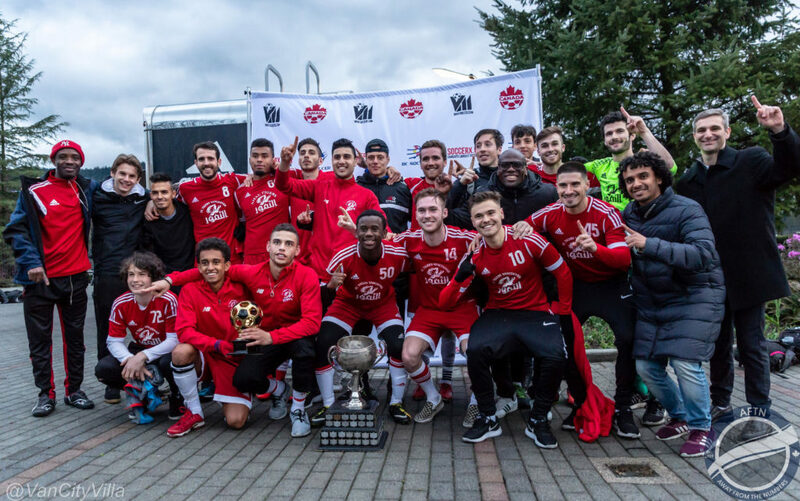 First won by Thistle FC 106 year ago, Rino’s Tigers are the current champions, winning their first ever Imperial Cup last year in a 2-0 win over Croatia SC at Percy Perry Stadium in Coquitlam. But if the Tigers are going to retain their trophy, then they’ll certainly have to do it the hard way after the draw was made for this year’s Imperial Cup on Thursday night. The current format of the Imperial Cup sees it contested by VMSL Premier and Division 1 sides, although teams can opt out of the tournament. Why you would, I do not know, but surprisingly one team did this year and it was a Premier side, Guildford FC. That leaves 23 teams competing to lift the famous old trophy on March 30th, and the bracketed draw threw up some potentially cracking match ups, and sets up a few shocks along the way as well. 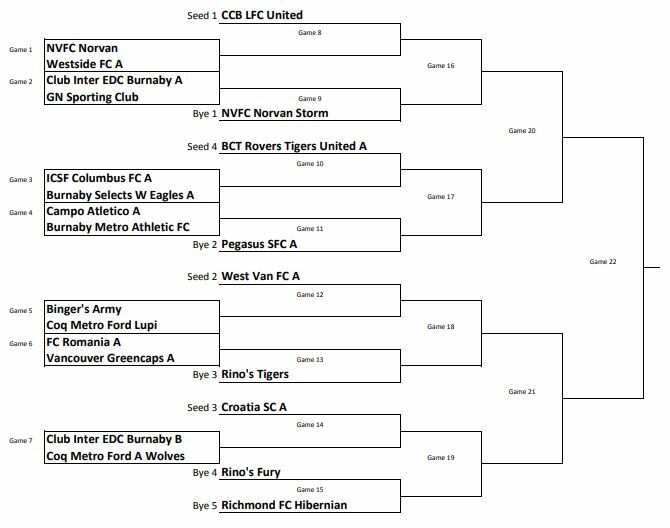 The top half of the draw sees CCB LFC United, NVFC Norvan Storm, BCT Rovers Tigers United, and Pegasus SFC as the lucky recipients of byes into the First Round. With the bottom half seeing West Van FC, Rino’s Tigers, Croatia SC, Rino’s Fury, and Richmond FC Hibernian getting the byes. That sets up seven Preliminary matches, to be played over the weekend of February 1st to 3rd – four cross divisional match ups and three all Division 1 affairs, including one between the top two sides in that league. Here’s how the Preliminary Round looks. There’s two standout matches for us in that Preliminary Round. The battle between the top two in Division 1, Columbus and White Eagles, should be a cracker and a highly contested affair if they both carry their league form over into the cup. The winner of that one will go on to travel to Surrey to take on defending VMSL Premier, Provincial Cup, and Challenge Trophy Champions BCT Rovers Tigers United, in what has the potential to be another great contest. You’re always looking for cup shocks though, and while Westside will fancy their chances at Norvan, you have to look to Burnaby Metro Athletic to pull off the shock of the round. Although exactly how much of a shock it will be, is arguable! The Burnaby boys are third in Division 1, and still pushing to go up to the Premier after two promotions in the last three seasons. They’ll be the away team, but on the pitch they also call home, when they take on Premier strugglers Campo Atletico. Campo sit adrift at the foot of the Premier standings with just one point to their name, and that came last weekend at the 17th time of asking. They’ve let in 89 goals so far this season, an average of just over five a game, and have scored less than a goal per game with 13. Burnaby Metro play some nice football and have a solid defence, letting in just 19 goals in their 17 matches. We’ll definitely be at this one to see if the lower ranked side can pull off the win, with a home game against the up and down Premier side Pegasus SFC awaiting the victors. There’s a couple of potentially tasty First Round matches in the offing, with Coquitlam Metro Ford Lupi likely to fancy a crack at VMSL Premier leaders West Van, and the all-Premier clash between Croatia SC and Coquitlam Metro Ford Wolves set to be the tie of the round if things play out as they should. The bottom half of the draw certainly looks to be the most brutal with three of the current top four in the VMSL Premier in there – West Van, Croatia SC, and Rino’s Tigers. Mind you a potential Surrey derby between CCB and Rovers Tigers in the semis would also be a match up worth seeing. First Round matches are scheduled for the weekend of February 15th to 17th, with the Quarter Finals on March 1st to 3rd, the semi-finals at Burnaby Lake on Saturday March 16th, and the final scheduled for 5.30pm at Newton on Saturday March 30th. The latter is disappointing with the Whitecaps set to take on Seattle Sounders at BC Place at 7pm that evening, meaning many will forego the Imperial Cup final for that, ourselves included! A shame for a trophy with such a rich history. It deserves to have fans and media in attendance and to be promoted accordingly. But perhaps commonsense will prevail and they’ll change the times of the various finals around. Let’s see.